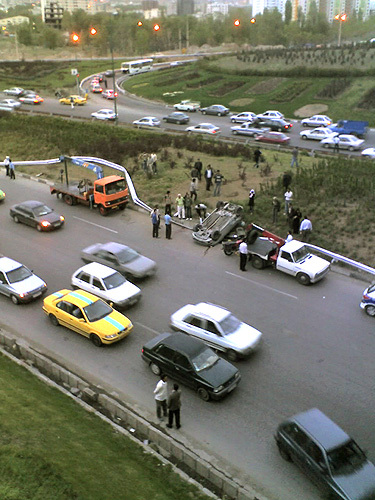 A fatal car crash involving a Peugeot 206 on Imam Ali Freeway. People didn't just slow down to check out the accident, they triple parked their cars on the overpass, got out and stopped short of a picnic on the grass near the site. Iran is a leader in fatal car crashes with over 25,000 fatalities per year.